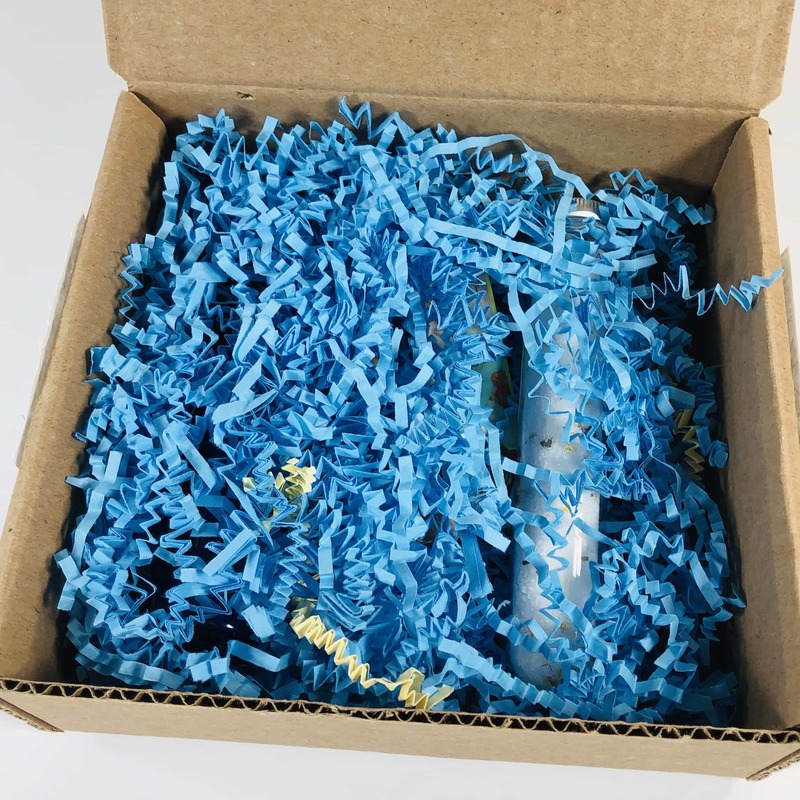 Shredded blue paper squiggles greeted me when I opened the box. 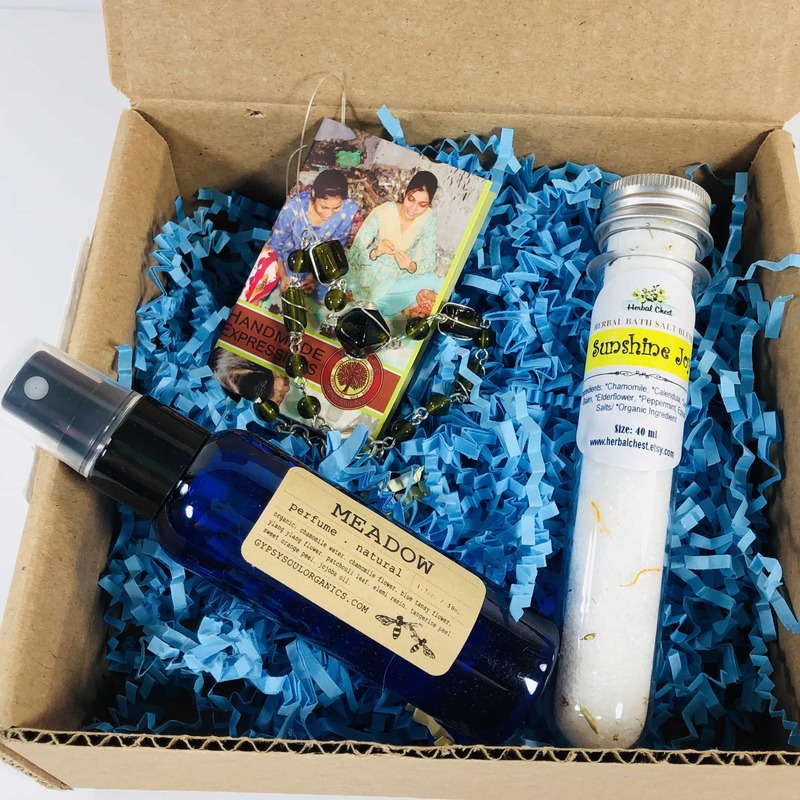 The information card contained a list of all the items in the box along with coupon codes for all of the items. 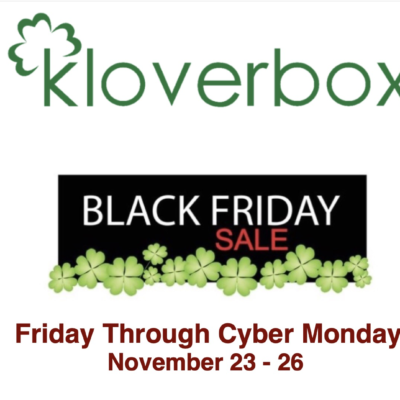 If you fall in love with a product or want to discover a new item from a particular brand, you can save some money! 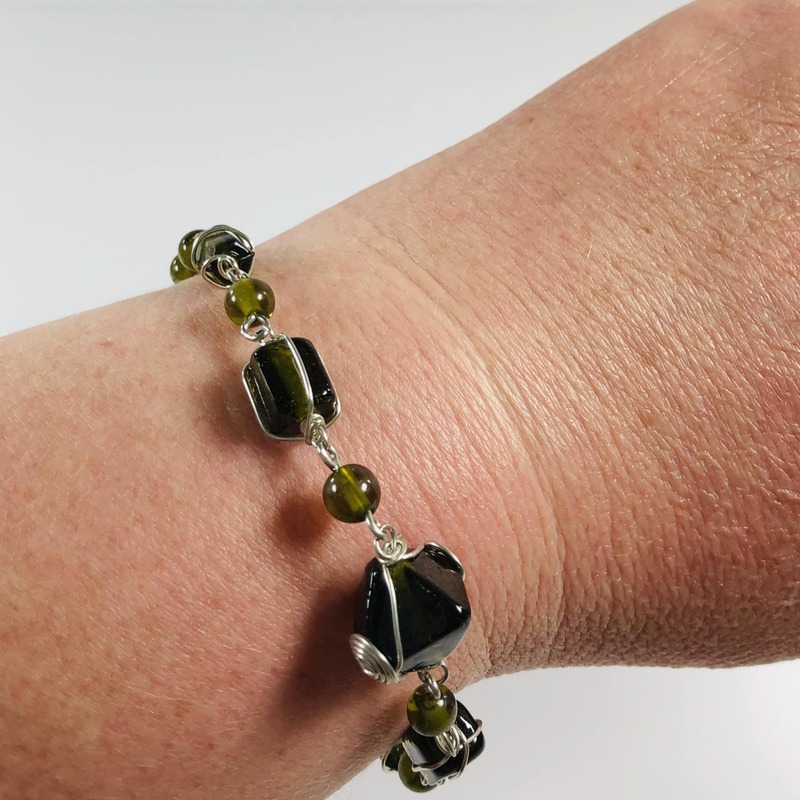 Matr Boomie Daydream Beaded Bracelet ($15) It’s kind of hard to find this brand online, they seem to be wholesale only. I imagine it would be something you might discover in a boutique or gift shop. 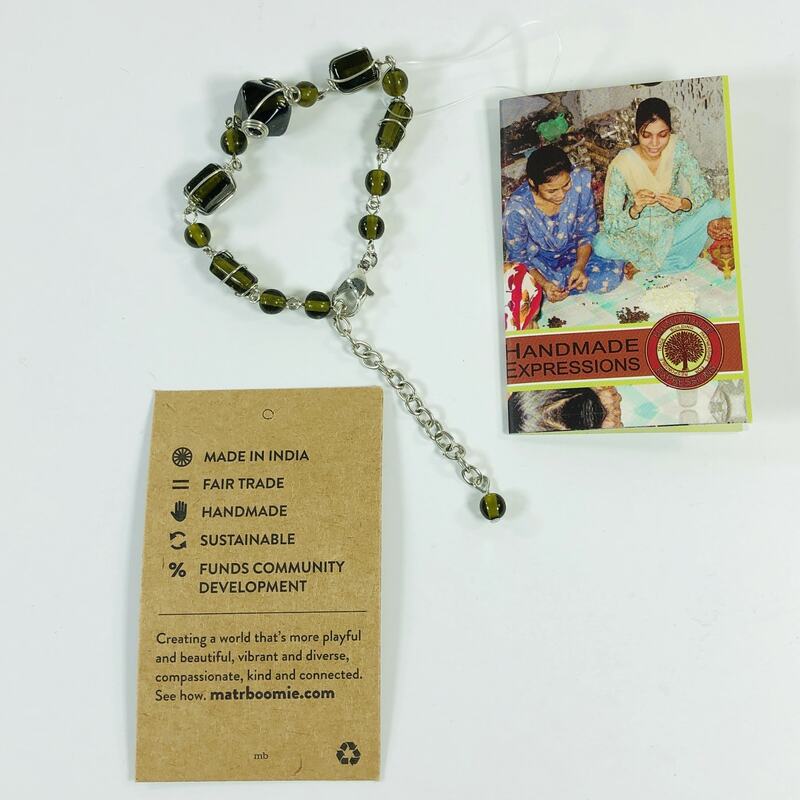 The bracelet is fair trade and made in India of locally sourced materials. The card says no child or slave labor was used and it provides sustainable employment for women. 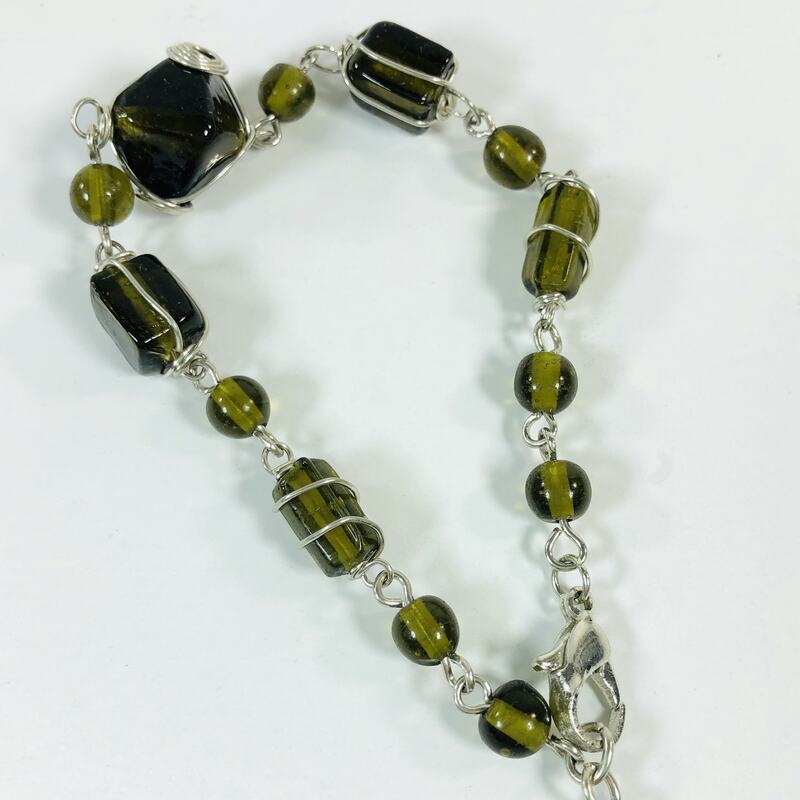 It features green stones with silver-colored bracelet and clasp. It is adjustable and fit my large wrist just fine. 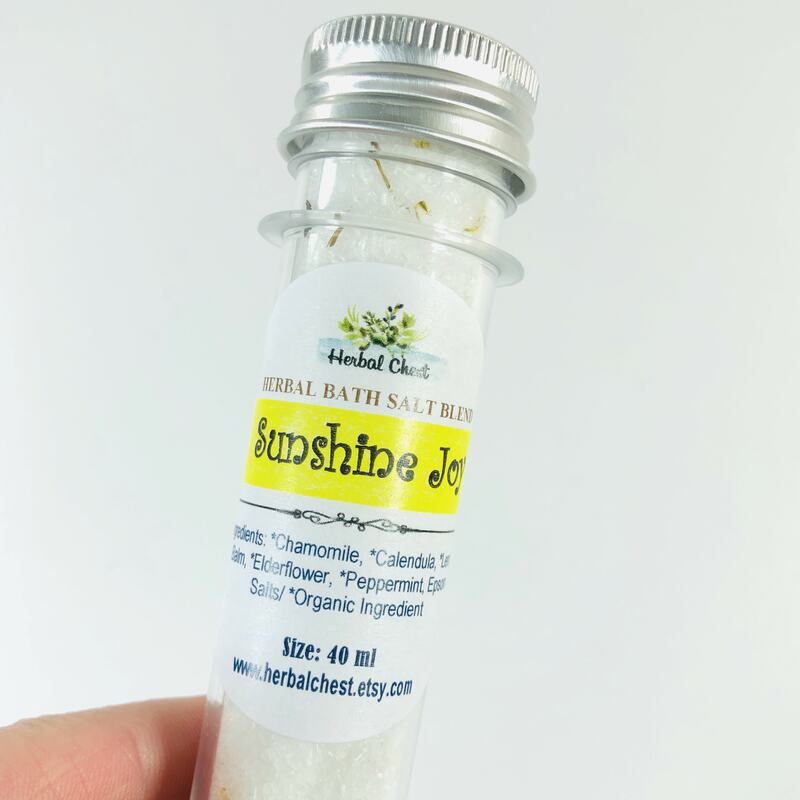 Herbal Chest Sunshine Joy Bath Salt ($9.30) A bath is a relaxing way to end the day! 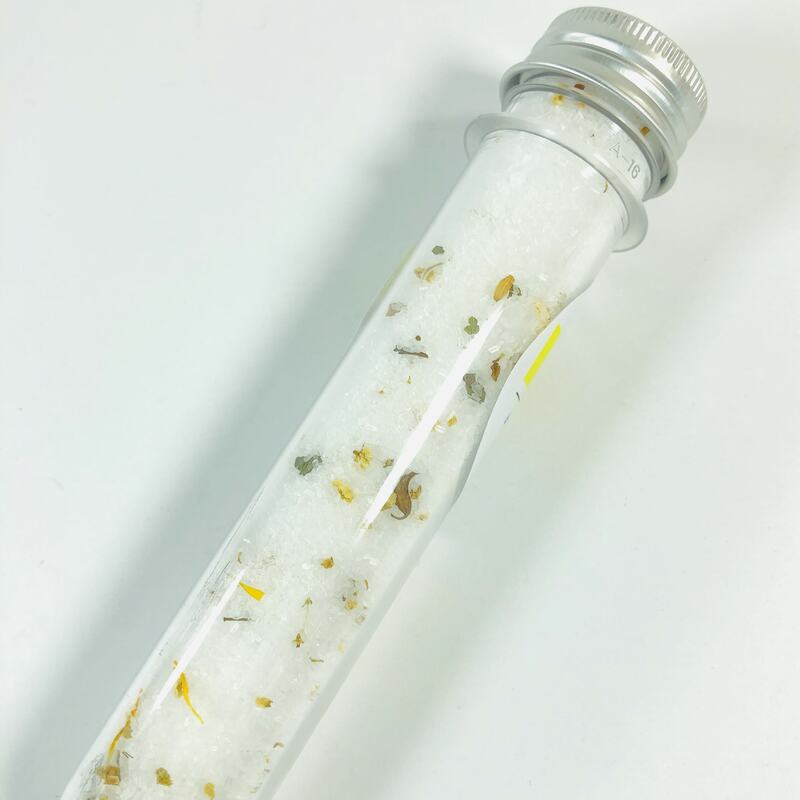 Epsom salt, flower petals, and essential oils are the all-natural ingredients in this tube. 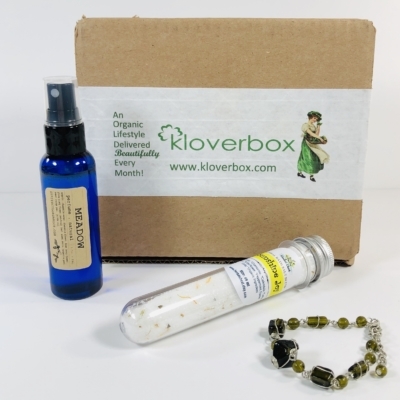 The scent combo is supposed to help cheer you up and brighten your mood. Unfortunately, I couldn’t smell a thing! 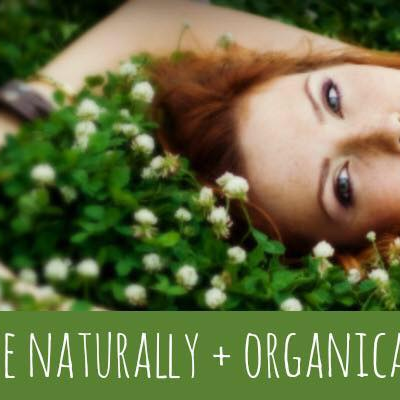 Did mine miss out on the essential oils? I mean, it smells like nothing at all, even after I ran it under water. I rubbed some on my hands and yep, no smell. 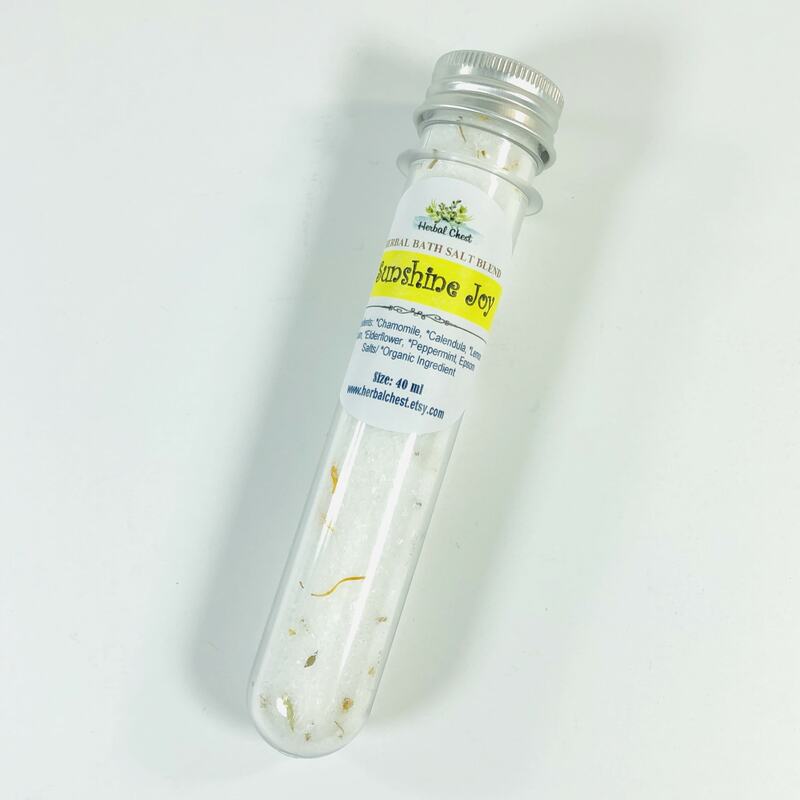 I have no doubt that the salts are fine and it would be good in the bath, but as for any uplifting effects from the scent, I don’t think that will happen. 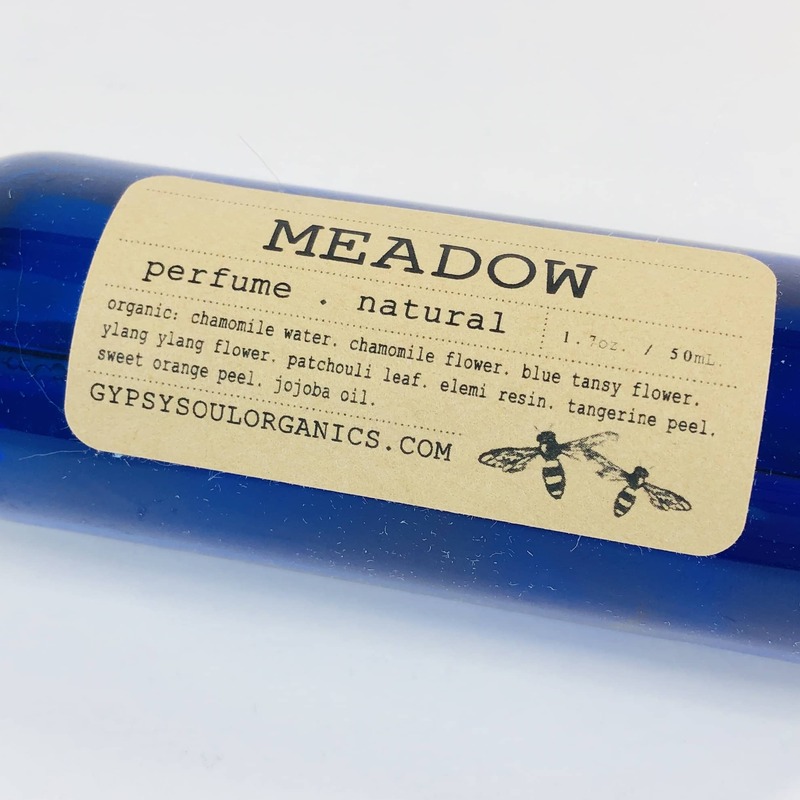 Gypsy Soul Meadow Perfume Spray ($30) Now this spray has some scent, although it is fleeting, which is to be expected with natural perfume sprays. Chamomile flower water is the base along with some lovely essential oils and jojoba oil to make it stick. I think ylang ylang pulls to the front of the scent notes, with citrus right behind. 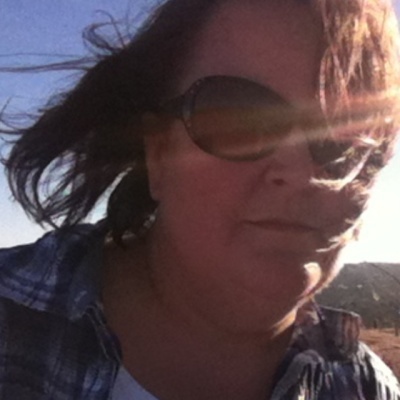 It is light and perfect for spring. I like to use this type of spray in the evening so I have a hint of scent but don’t have to worry about smelling perfume in my sleep. 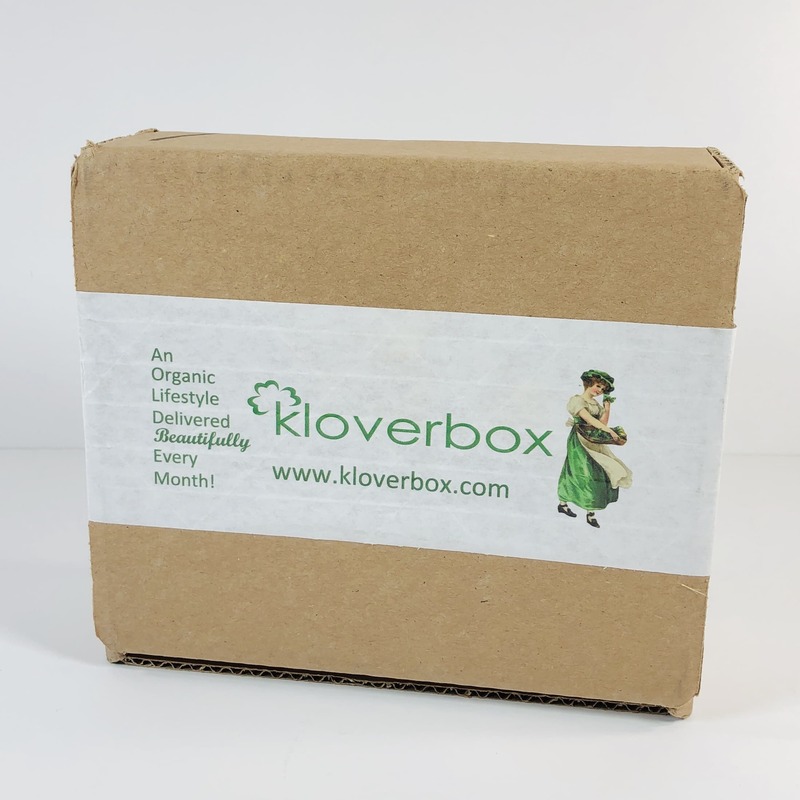 Kloverbox sent a nice assortment of products, if a little underwhelming this month. 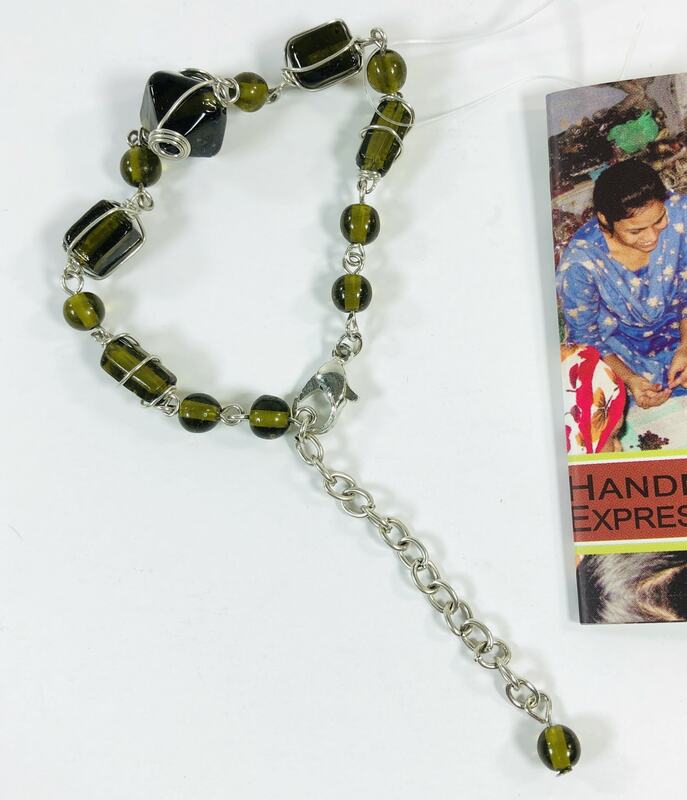 The bracelet is pretty and I appreciate the work that went into it by the women in India. 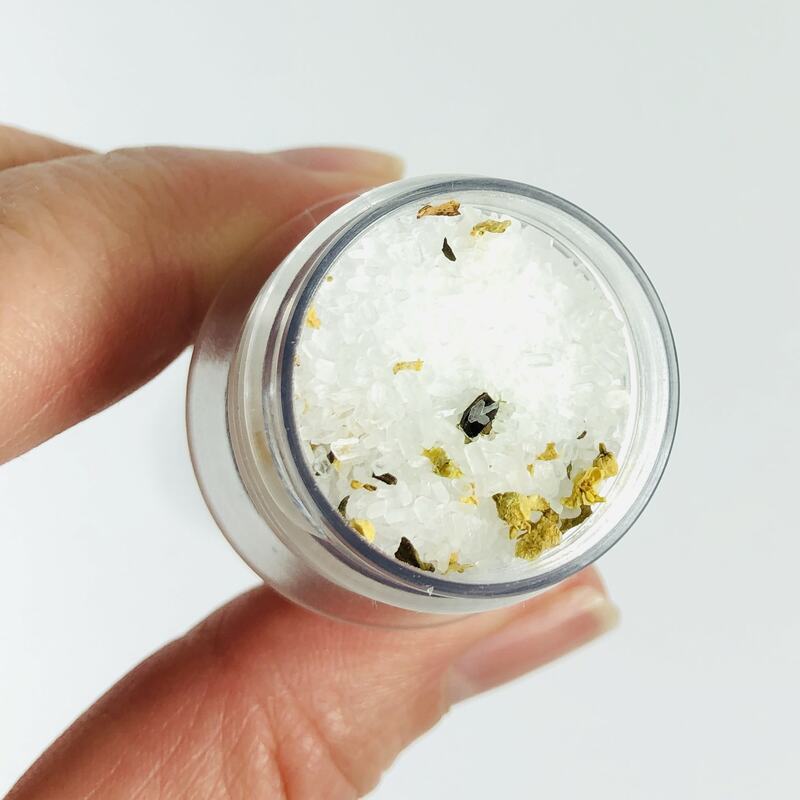 The bath salts are great if you prefer to bathe with no scent, which might be preferential for those with sensitive skin, but then again you could buy a box of Epsom salts at Target for a fraction of the cost. 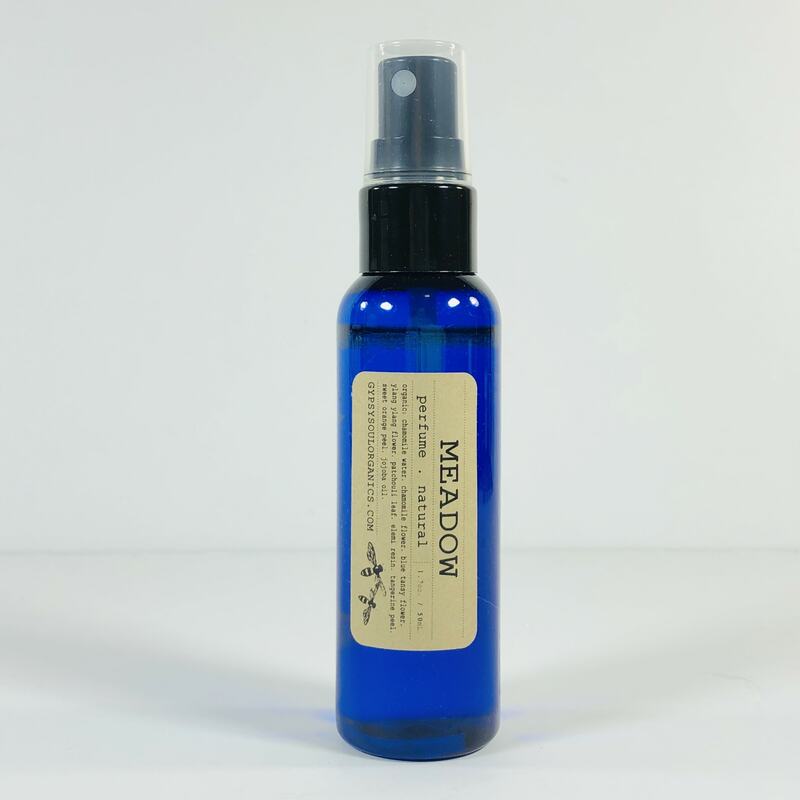 The fragrance spray is very light but I like to use it in the evenings and it was my favorite product this month! 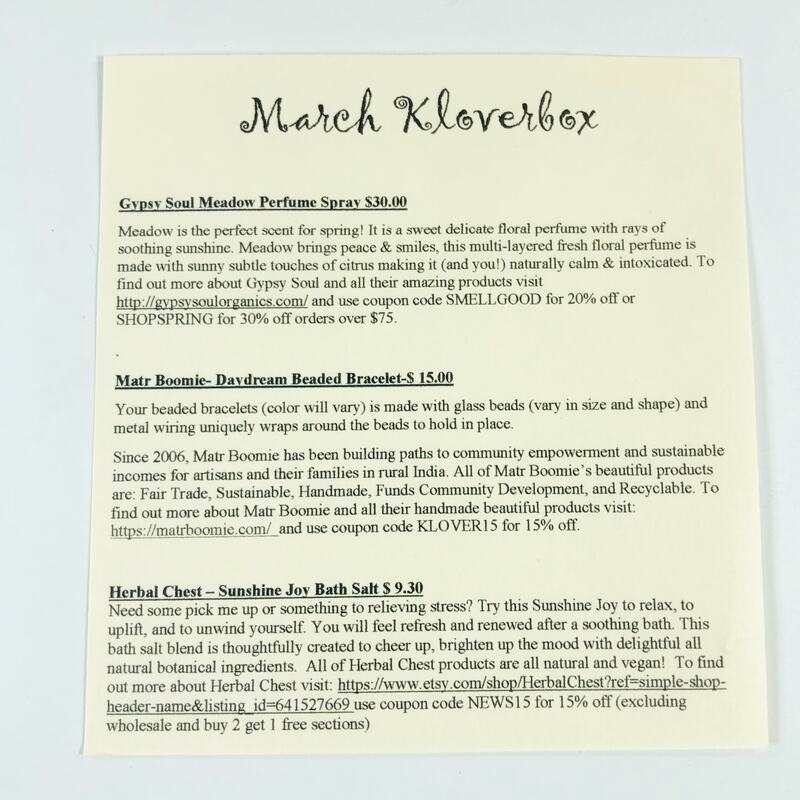 What did you think of the March Kloverbox? Let me know in the comments!